In business for over 20 years, Advanced Hearing Technologies offers free hearing tests to local Fort Wayne residents. Our full hearing test includes an ear canal examination and we provide the results in a way that anyone can understand. Often, hearing loss may be a result from a simple earwax blockage or it could be something more serious. That’s why we will use a video otoscope that allows our Fort Wayne hearing specialist to show you exactly what they see on the television screen. We are focused on your satisfaction and improving your quality of life through hearing better. We know that being able to hear your friends and family is as precious as gold. After all, what would life be like if you could no longer enjoy the laughter of your children or grandchildren? What if you could not relax with your favorite music or television program, or share a lively conversation with friends? Why trust just another hearing aid company after your wallet and not your satisfaction? We’re proud to focus on your hearing quality and helping improve those valuable moments you share with friends and family. Our Fort Wayne hearing specialist, Mike Hetrick, can help greatly improve your quality of life today. 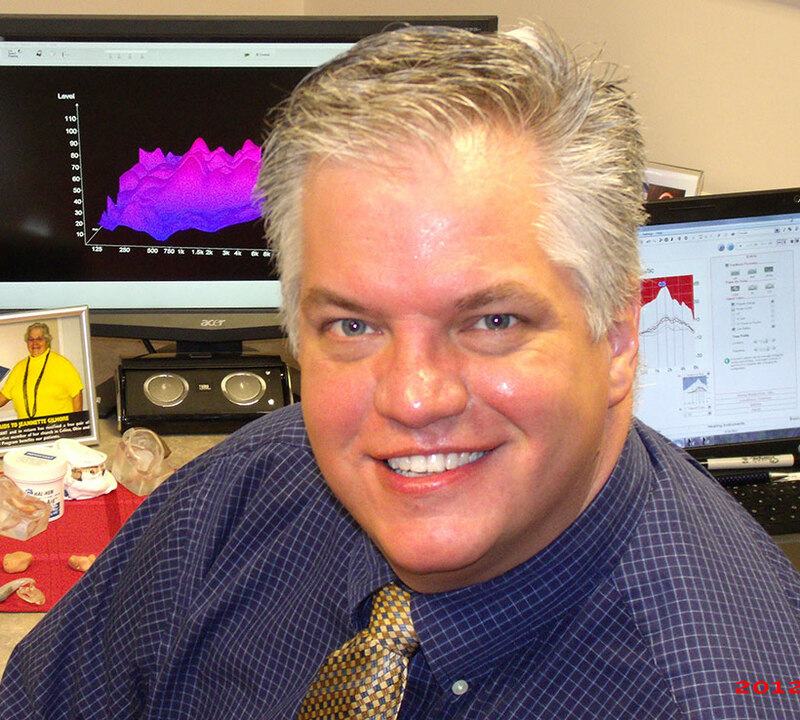 He is a board-certified hearing specialist who has worked for many years in the Fort Wayne region by providing both excellent service and care to his hearing clients. We also provide the latest technology in hearing aids available to clients in Fort Wayne with a risk-free trial period that allows you test the newest technology on the market. If you schedule a free hearing test with us, you’ll not only receive the best hearing care, but the latest hearing aid technology in Fort Wayne. Mike has a well-known customer base and a growing list of testimonials and referrals that showcases his drive to help every client in Fort Wayne. Schedule a FREE appointment with Mike today! The Illinois Road location in Fort Wayne is on the left side of the road as you are approaching going East to West. After the stoplight at Scott Road, we are on the left as you turn-in by the Lassus Handy Dandy gas station. We are located in the office building near the back, behind the Lake City bank. You will be able to see an Advanced Hearing Technologies (red) sign outside of our office. The front door is to the left of the sign. “The first pair of hearing aids that I ever got was from a competitor who fitted me with a hearing aid then took me outside and asked what I could hear. I told him the wind and the traffic, and the noise. I never could hear conversation. So I returned them. I then went down the road to another office and they wanted over $6,000 dollars per pair — 12 years ago. I then heard about Advanced Hearing Technologies. I started with Advanced Hearing over 12 years ago. I have been so happy with them that I have sent many, many of my friends and colleagues to Advanced Hearing Technologies. We are located at the Hampton Inn at 3520 East Dupont Road. This is located near the I-69 Dupont Road exit and it is near Parkview Hospital. You can turn in near the restaurant Culvers (burger joint). There is a also stoplight there. Hampton Inn sits right near Culvers restaurant and there is a “Hampton Inn” sign outside the hotel. “I purchased my first pair of hearing aids 3 years ago or so because my dad, my brothers, my sister all had them — but I was the one always saying ‘huh.’ I decided to try a pair. Mike did a very comprehensive test and showed me several different aids. I chose one and it worked great. However, it was a basic model and I occasionally had problems with background noise and telephones. During a recent checkup, Mike showed me some new hearing aids and told me that he thought they would help over and above what I had. I was concerned about using a behind-the-ear hearing aid with my glasses; I have had no problem, also I have had no problems with putting them in — they go into place very easy. Our Lifetime Service Policy states that for as long as you own your hearing instruments purchased from Advanced Hearing Technologies, all in-office services such as deep cleanings, restoration of microphones and speakers, replacement of battery doors and all re-programming and adjustments will be done free of charge. As a local Fort Wayne resident, what do you have to lose? If you would like to take advantage of a free hearing test from us, schedule a free hearing test or call 1-888-333-5744.